Update, Oct. 19, 9 a.m. PST: Daily Mail reports that Azealia Banks’ story of her alleged altercation with Russell Crowe has been inconsistent, and that witnesses who saw everything go down didn’t back up Banks’ version of events. The source claimed that Crowe did not overreact when he kicked Banks out of the party, and that even RZA, the person who invited Banks, has told police she was out of control and needed to go. Of all the people we could picture Azealia Banks or Russell Crowe having beef with, we never in our wildest dreams expected there’d be an altercation between the two of them. But apparently there was, and it’s downright ugly. The incident happened on Saturday, Oct. 15, at Crowe’s suite in the Beverly Hills Hotel, and Banks took to Facebook on Sunday to address it — and make some very damning claims against Crowe. She later added that she had receipts, and to stay tuned. But there are two very different sides to this story. Banks reportedly also went on to use the N-word several times, however, Crowe remained unprovoked. That was, until Banks reached for her glass and cocked it back, resulting in him grabbing her in a bear hug and carrying her out of the hotel room, where security guards removed her from the grounds. While there are obviously two very different versions to this story, TMZ claims that four witnesses have given a statement to the police, calling Banks “erratic.” The publication also claims to have been told that RZA says it was Banks who used the racial slur, and not Crowe — although neither RZA nor Crowe appear to have addressed the incident publicly. We doubt this is the last we’re going to hear about this ugly altercation. 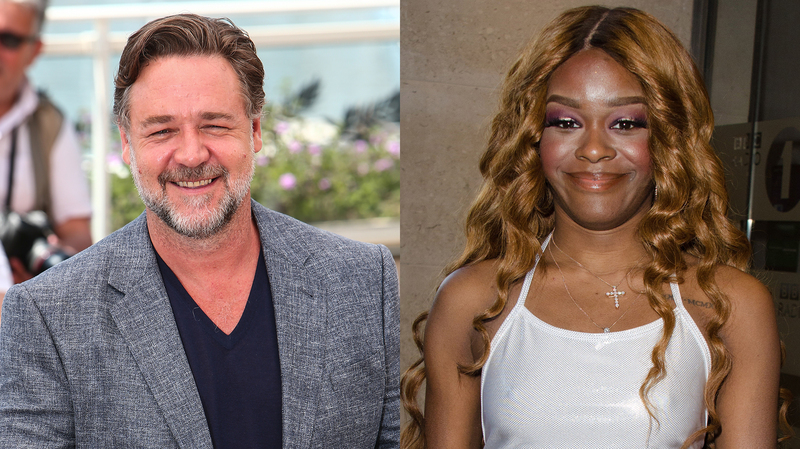 Are you surprised by the incident that occurred between Azealia Banks and Russell Crowe? Share your thoughts in the comments below.